Elaine Adler, CIU board member since our founding in 1992, was honored with the 2017 Lawrence R. Inserra Leadership Award at Holy Name Medical Center’s MS Awards Reception on November 9th at Il Villaggio in Carlstadt, NJ. According to Michael Maron, President and CEO of Holy Name Medical Center, “It is our privilege to honor Elaine Adler for her dedication to the MS Center and for her devotion to the thousands of patients and their families whose lives has been transformed by her generosity to the Center’s treatment, research, and support services. Like Larry Inserra, Mrs. Adler’s leadership, patient advocacy efforts, and zest for life are an inspiration. Along with her late husband Myron, Mrs. Adler has long supported organizations involved in health issues. A tireless, respected activist and philanthropist, she is the co-founder and driving force behind the Adler Aphasia Center, which she and Mike launched in 2003 after Mike developed Aphasia following a stroke. Aphasia, which is the loss of ability to speak or understand spoken language, is caused by brain damage, either from brain injury or, most commonly, from a stroke, particularly in older individuals. According to The Multiple Sclerosis Foundation website, a recent multi-center study found that nearly 40% of individuals with MS experience aphasia at some point during their illness. Until this study, aphasia was generally not considered to be a clinical manifestation of MS. Since its inception, the Adler Aphasia Center has won numerous awards and has become a world leader in aphasia therapy and research, with two satellite centers and nine Aphasia Communication Groups located throughout New Jersey. Mrs. Adler is proactive in state and national advocacy for aphasia rehab, while at the same time is a hands-on volunteer, with daily visits to the Center and support for its caregiver programs. The establishment of the Nursing School was not the Adlers’ first donation to Ramapo College, since they have been consistent champions of that school for more than 25 years. They have supported the College’s Annual Fund, student scholarships, the Center for Holocaust and Genocide Studies, and established the Adler Theatre in the Berrie Center for the Performing and Visual Arts. Mrs. Adler is also a member of the Ramapo College Board of Governors. 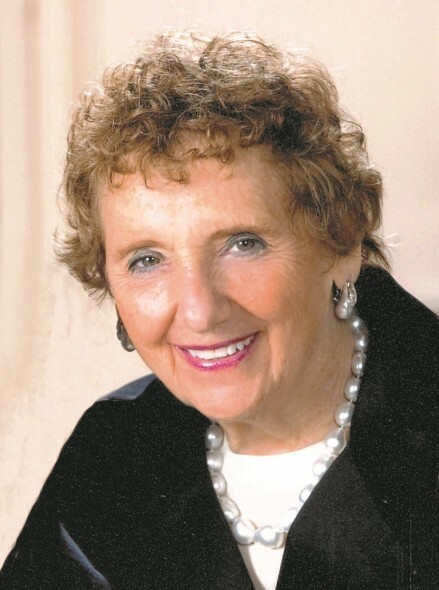 She is also a trustee of the Arnold P. Gold Foundation for Humanism in Medicine, as well as a founding board member of Gilda’s Club of Northern New Jersey. She serves on the board of the Community Resource Council and the USA Toy Library Association as well, and is vice president of the Jewish Home and Rehabilitation Center in Rockleigh, NJ. For more information about the Multiple Sclerosis Center at Holy Name Hospital, please go to www.HolyName.org/MSCenter. For the Adler Aphasia Center, go to: adleraphasiacenter.org.